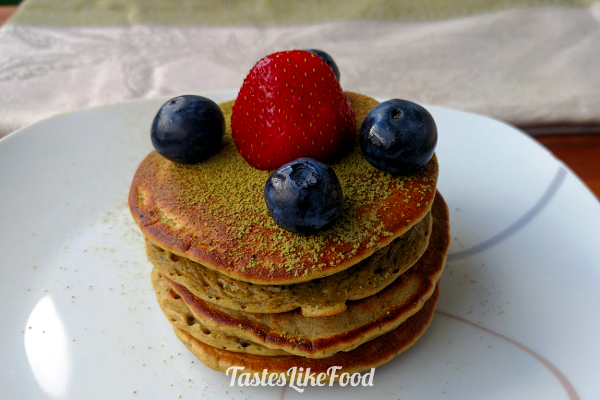 The recipe for the Mini Buttermilk Matcha Pancakes is a slight modification of the recipe for plain pancakes which you can find here. 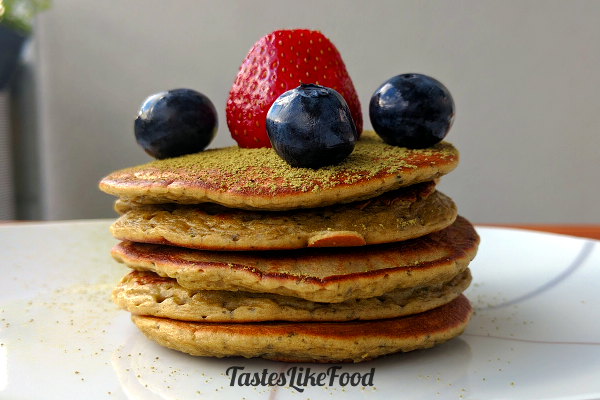 These mini pancakes are healthy, loaded with the antioxidants and very easy to make. The strong, bitter and earthy flavour of matcha in a fluffy and soft pancake garnished with sweet fruits is just perfect for a start of a new day. Combine the buttermilk and the egg in a medium-sized bowl with a fork. Sift flour, matcha, baking powder and baking soda through a strainer. Add sugar and olive oil. Mix everything until combined. Set aside for 20-30 min. Thanks to that the pancakes will be more fluffy and less hard or chewy. Heat a frying pan and pour 1 Tbsp of dough, keeping the distance of 2-3cm between the pancakes. Fry the pancakes 1-2min before you flip them. Continue frying for 30 more seconds. Spread some extra matcha powder on top of ready pancakes, Serve with fresh fruits, yogurt or cream.